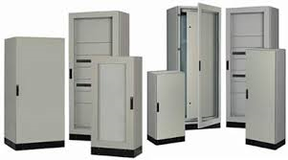 Enclosures & Carpentery - EES Corp.
EES Corp. provide industrial enclosures from Himel, Siemens and Eta, as a value added reseller. It is enough to the client to send his needs in terms of size, protection, environment and EES will suggest the suitable cubicle system. furthermore engineering and compelte drawing can be developed for the client at a certain cost for his manifacturing. EES can also execute he panel assembly having the adequate mechanical and electrical staff. EES Corp. is proud to Introduce QUADRITALIA Product in the Saudi Market. QUADRITALIA today is one of the European leaders in the field of manufatcuring of enclosures for the industrial automation and distribution, with a range of products that goes from the small wall mount boxes to the complete modular floor standing enclosures, from the consoles to enclosures' accessories, and the customised products. An efficient and motivated staff, together with our wide domestic and international commercial network, assure a complete support to all customers, enriched by the flexibility and efficiency of our Technical Department, ready to satisfy any requirement. EES Corp. Also used different Enclosure as per client requirement, consultans specification, approved end client list and specific use and application.